barrierline-barrier-pipe - CASCADE PLC - The new home of Cascade Clamps UK Ltd, Suppliers and Manufacturers of pipe fittings to the water & gas industry. 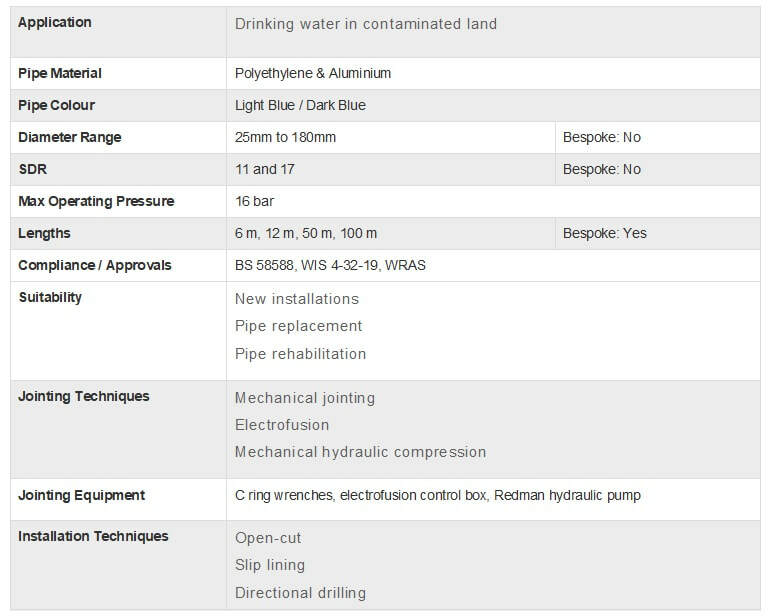 The barrier pipe system of choice for your new or replacement drinking water supply, Barrierline is a cutting edge solution for the safe distribution of drinking water through contaminated land. The Barrierline system consists of a multi-layer composite structure pipe, which combines the unique characteristics of polyethylene with the exceptional barrier properties of aluminium, and a range of specifically designed fittings to suit the pipe. The system is quick and easy to install and is designed to provide a high level of protection against soil contaminants commonly found in brownfield sites.